FICE Austria, founded 1968, is the national section of FICE International (International Federation of Educative Communities) which is an international worldwide network of professionals working with and for “out of home” children, children at risk and children with special needs. FICE Austria promotes high-quality standards in alternative child and youth care, as well as it actively supports exchange of knowledge, expertise and good practice among respective stakeholders at national, European and international level. La Porte Ouverte is the only association for foster families in the Wallonia-Brussels region, Belgium. Its mission is to serve ‘the best interest of the child’ in all foster care situations. La Porte Ouverte advocates for the rights of children in foster care, it supports foster families by building the capacity of foster parents, encouraging peer-to-peer learning and sharing best practices. They also encourage the creation and run activities for foster care children and their families. Hope and Homes for Children (HHC) has been active in Bosnia and Herzegovina (BiH) since 1994. All HHC BIH programmes are focused on replacing institutional care with family based solutions for children without parental care, such as reintegration of children with their biological families, local adoption, fostering, supporting young adults leaving the care system and the development of high quality residential care in Small Family Homes of capacity up to 12 children. The National Network for Children is an umbrella organization which unites more than 130 NGOs working with children and families in Bulgaria. Their mission is to strengthen and facilitate co-operation among all stakeholders related to children’s rights and well-being. They are advocating and working in partnership with NGOs, businesses, institutions, children and families. FICE Croatia aims to improve life quality for children, youth, families but also professionals and communities. Special focus of its work is on children and youth in risk, as well as children and youth in alternative care. Through activities of support, experience and knowledge exchange, networking and advocating, FICE Croatia tries to strengthen and improve social services and realise its aims. 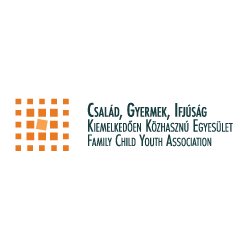 Lastekaitse Liit (Estonian Union for Child Welfare) is a non-profit umbrella organisation that contributes to ensuring children’s rights and shaping a child-friendly society. Founded in 1988, the union participates actively in a variety of national and international networks. Member organisations operate throughout Estonia. Estonian Union for Child Welfare follows the four core principles of the UN Convention on the Rights of the Child in its activities: non-discrimination; adherence to the best interest of the child; the right to life, survival and development and the right of the child to be heard. Roots Research Center is working with adult adoptees who aim to find their biological parents, also they are supporting/consulting adopted families to work with their adopted children. Since 2004 they promote foster care, give speeches around the country, raising public awareness on the benefits of foster care and why community based care is better for children. They have been involved in private foster care cases of children with disabilities, supporting and consulting the foster parents. They run training seminars for social workers and University students promoting foster care and community based care. Other NGOs have showed interest, cooperating with them, in training their people on the DI direction, by supporting vulnerable families. 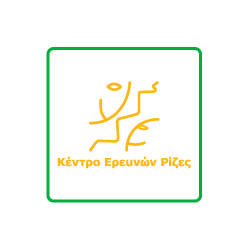 Justice experts are their supporters on child protection affairs, walking with them slowly on the way to change the residential culture in Greece. The Association since its foundation in1993 has been supporting the rights, welfare, and protection of children and family strengthening, helping professionals, raising awareness, conducting research and publishing materials accordingly. Participating in several EU and domestic projects, providing training, adapting good practices, translating and publishing materials in different related areas. SOS Children’s Villages Latvia is a social charity non-governmental organization providing long-term family based care for around 150 children who have lost their parents and carries out family strengthening programs supporting more than 700 children in 350 families each year. SOS Children’s Villages Latvia started its work in July, 1997. They are a member of SOS – Kinderdorf International, operational in 133 countries worldwide. SOS Children’s Villages Lithuania is a member of the international association SOS Children’s Villages International. In 1991 SOS Children’s Villages first started to work in Lithuania to respond to the needs of children without or at risk of losing parental care. Over 130 children have grown up in SOS families in Vilnius, and presently 105 children and youth without parental care have found a new home with SOS families or professional foster families of SOS CV Lithuania. Furthermore, SOS CV Lithuania is supporting 280 families at social risk, and their 584 children with the specific aim to avoid family separation. SOS CV Lithuania advocates for the rights of children without or at risk of losing parental care in line with the UN Convention on the Rights of the Child and UN Guidelines for the Alternative Care of Children. 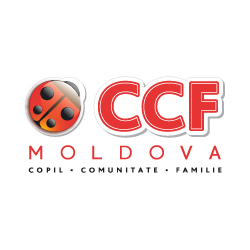 CCF Moldova – children, communities, families was founded in 2004 and has represented HHC UK in Moldova since 2005. During this time, they succeeded in closing 10 residential institutions and returned 1,311 children back to their families. CCF Moldova also managed to prevent the separation of 1,963 children from their families. They have not entered into residential institutions anymore thanks to their prevention programmes. Family support, day care, nurseries, foster care are other types of services developed or supported by CCF/HHC in Moldova to advance the reform. Child and Family Foundation was established in January 2015 by child care and family support practitioners and specialists who had worked for the benefit of children for many years. The Foundation is focusing on the stable development of children in family environments. It acts for the benefit of children and families endangered with the internal crisis and separation of children, as well as for the reintegration of children placed in all forms of foster care. It aims at strengthening families based on their internal and external resources. It promotes professional family foster care. It accepts the existence of institutional care only as a form of temporary services for teenagers who could not be placed in foster families due to emotional disorders requiring very professional and therapeutic assistance. The activities of the Foundation focus on the introduction of innovative methodologies in the work with children and families, capacity building programs and on lobbying legislative changes aimed at strengthening community support for children and their relatives. Hope and Homes for Children Romania focuses on transforming a child protection system based on institutional care, by preventing child separation from families, and developing family-based alternatives. They believe that attachment, love, individual care and stimulation are essential for every child. The Network of Organizations for Children of Serbia (MODS) advocates for the the rights of the child in the country. MODS gathers 75 CSOs and focuses in particular on child poverty reduction, available high-quality formal and informal education and culture, affordable and quality health protection and healthy environment for children to grow up in and be protected from abuse, neglect, exploitation and violence. MODS also campaigns for adequate and transparent public spending, and for the establishment and further development of inclusive societies. FICE Spain is a network of non-profit organizations that aim to improve the quality of life for children at risk and their families by promoting models of family support, community based care and the quality of residential care. HHC Ukraine aims to reform the state childcare system through piloting models and developing legislation in partnership with authorities and NGO’s. In 1998 they developed family type homes and introduced work on the prevention of child abandonment in Ukraine. Now they are focused deinstitutionalisation which includes the closure of institutions and the creation of a wide range of supportive and preventive services for families and children.